Chika Ezeanya, a Sylff fellow from Howard University in the United States, initiated and implemented a two-day “Workshop on Character Building and Preparing Young Rwandans for Leadership towards Societal Advancement” in May 2016 in Kigali, Rwanda, with the support of an SLI grant. The following article is her reflection on the workshop. The successful workshop greatly contributed to nurturing leadership in young Rwandans who will be leaders of the community, the country, and the world in the near future. The organizer, Ms. Chika Ezeanya, presents with passion at the workshop on character building and leadership development in Kigali, Rwanda. On May 25 and 26, 2016, the University of Rwanda College of Business and Economics gathered 30 of its brightest 300-level male and female students (according to GPA) at Nobleza Hotel in Kicukiro for a two-day intensive workshop on leadership and character building for societal advancement. The workshop was supported by a Sylff Leadership Initiatives grant. The motivation behind the workshop is that the burden of national advancement rests on the shoulders of young people below the age of 25, who comprise 67% of Rwanda’s population. The main objective of the leadership training was to introduce young Rwandans with leadership potential to the need for building character toward effective leadership. The overall aim is to prepare these promising young people to become well-developed individuals and citizens and ensure that Rwanda as a nation is able to leverage its human resources to meet its economic growth and social advancement goals at all levels. Education has been established as a veritable tool for training young people so that they will be equipped to hold leadership positions across sectors as older adults. Not many young Rwandans, however, are able to complete secondary education. According to the World Bank, Rwanda’s secondary school gross enrollment rate stood at 33% in 2013. Even for the few Rwandans who are able to study up to the university level, the curricula are lacking in leadership training modules. Training on leadership therefore needs to be given to selected Western-educated and not-so-educated young people with leadership potential in Rwanda. Rwandan students at the workshop. The leadership training endeavored to instruct young Rwandans with leadership potential on the concept of effective leadership and its role in ensuring economic growth and social advancement at all administrative levels. It is hoped that beneficiaries will be more capable of effectively discharging their present duties as youth leaders, in addition to being prepared for higher leadership responsibilities as older adults in Rwanda. Since the genocide, the government of Rwanda has placed emphasis on preventing a reoccurrence and has instituted several strategies for ensuring economic growth and social cohesion. Much has been achieved through numerous successful education policies, poverty alleviation programs, and agricultural and rural development projects. But these strategies lack adequate programs aimed at training the minds of young Rwandans on the need to imbibe certain character and behavioral traits necessary for effective leadership, which can firmly place the country on the path to economic growth and social advancement. Two international facilitators from the United States and Nigeria were present at the workshop to introduce certain concepts to participants and to assist them in individually and collectively thinking and working through the concepts over the course of two days. One local facilitator was also available. Also present during the workshop were three representatives from Sylff who traveled all the way from Tokyo, Japan, to show support for the workshop. Mari Suzuki, who is Sylff director for leadership development, gave a speech on the vision of Sylff and the importance of workshops of this nature to the organization. Keita Sugai, a Sylff program officer, gave the closing speech and also presented certificates of participation to all participants. Ms. Aya Oyamada, also a program officer, was at hand to ensure the success of the event. The three representatives also met with Professor Nelson Ijumba, the Deputy Vice Chancellor of Academic Affairs and Research, who was acting on behalf of the Vice Chancellor Professor Phil Cotton, and with the Principal of the College of Business and Economics, Professor Satya Murty. During the meeting, areas for further collaboration between the University of Rwanda and Sylff were explored. The audience participated actively in the question-and-answer segments as well as in the breakout sessions, where they were divided into groups and given questions to tackle related to the topics of the day. In an anonymous questionnaire at the end of the training sessions, student participants indicated their happiness and satisfaction with the workshop, citing the knowledge they had gained, and expressed their hope of forming an association across the University of Rwanda to promote the truths they had learned from the workshop. Most participants noted that they were being trained on character building for the first time ever and stated that they left the training on the final day with a transformed mindset. A group photo of Mr. Edozie Esiobu, one of the speakers, Mr. Keita Sugai, Program Officer for Leadership Development for the Tokyo Foundation, and all participants, taken after the workshop. Chika Ezeanya received a Sylff fellowship in 2009–2011 at Howard University, while enrolled in a Doctorate program at Howard University in Washington DC. 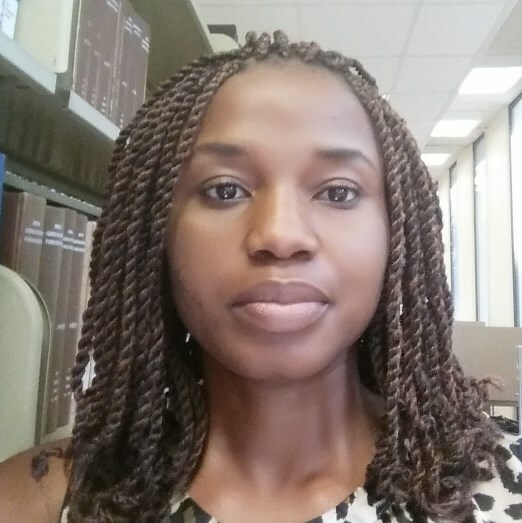 Her research focused on understanding the role of indigenous knowledge in Africa's education curriculum towards the general advancement of the continent. Since earning her PhD, she has been working at the University of Rwanda, where she is involved in teaching, research, mentoring and community development. She was awarded SLI in 2016, and implemented a two-day “Workshop on Character Building and Preparing Young Rwandans for Leadership towards Societal Advancement” in Kigali, Rwanda.